How Can You Not Be Excited About Exploding Buildings And Psychopaths In Cars? It's hard not to be entranced by the developer's no-nonsense style of discussion. If you haven't had a chance to listen to chat on GiantBomb's E3 special podcast, you really should. He's a fascinating character. Having said that, we think Jaffe puts himself down a little too easily at times. It's worrying to us that interviews with Jaffe seem to focus on Twisted Metal's sales forecasts, rather than why the game is awesome. 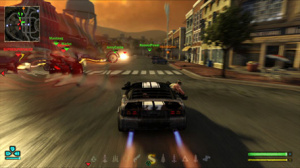 Clearly car-combat is a niche franchise this day-and-age, but that doesn't mean the topic of discussion needs to start and end with sales. Still, that's exactly the line of questioning Eurogamer took in a recent interview, and at least it opened up some tid-bits on a potential PlayStation Vita version in the series. I dont know how this is going to do, Jaffe told to Eurogamer. I dont know whether in 2011 therell still be a big enough home for us to say make another one or make one for the Vita. Were just stepping back and asking weve had a lot of love from the fans, but is that going to translate well beyond break even? Or are we barely going to cross the threshold of making our money back? As to where it is on the Vita, probably if its a big hit were going to do it. 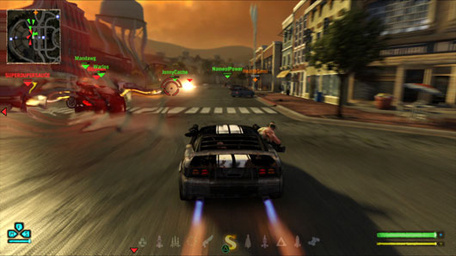 Later in the interview Jaffe explained that he doesn't feel like everyone within Sony "gets" Twisted Metal. I dont know  there are probably people within Sony who look at Twisted Metal and say thats a big franchise" he said. We're looking from the outside obviously, but we can't imagine Sony allowing Jaffe to close their E3 2010 press conference with a game not everybody believes in. We'd love it if the media gave Jaffe a chance to explain why the new Twisted Metal is so great, rather than focus on how it's going to sell.